A valid debit or credit card (Visa or Mastercard) is needed to guarantee your hotel reservation. XTravel is 3-D Secure certified by Visa and MasterCard through Romcard for accepting online payments with any type of card. 3D Secure protocol ensures that your credit card details are not stored or transferred on our servers, this details are managed directly by Visa and Mastercard system. In addition, 3D Secure is a system that authenticates the card owner's identity in the electronic environment, using a security code known only by the card owner. The 3D Secure system allows online payments to be made with any cards issued under VISA or MasterCard license, including the Maestro and Visa Electron debit and electronic cards. Virtual cards issued by these companies are also accepted. 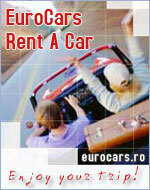 Starting with only 29€/night rental apartments in Bucharest for tourists and business men. Get a large apartment instead of a small Bucharest hotel room and start saving money! Book accommodation in Bucharest and pay up to 50% less than a hotel room!. Bucharest-Hotels.co.uk offers you an easy online-booking/phone support service for Targu-mures hotels and provides helpful information with photos and details for each hotel in Targu-mures. Book with us and get low rates for rooms in Targu-mures hotels, all types of accommodation in Targu-mures from budget hotel to luxury hotels, apartment rentals, cheap guest houses, budget pensions.